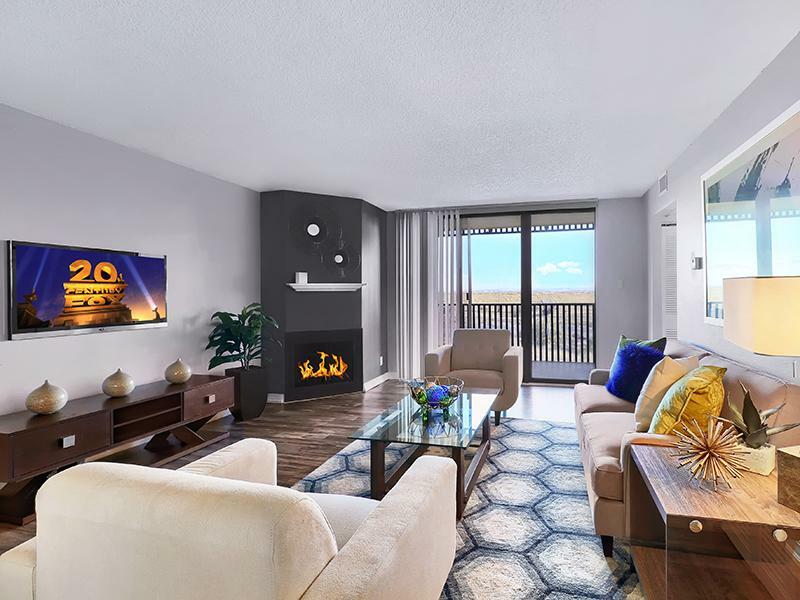 Axis at 9 Mile Station invites you to experience luxurious high rise apartment living, amid the rugged beauty of the Rocky Mountains in Aurora, Colorado. 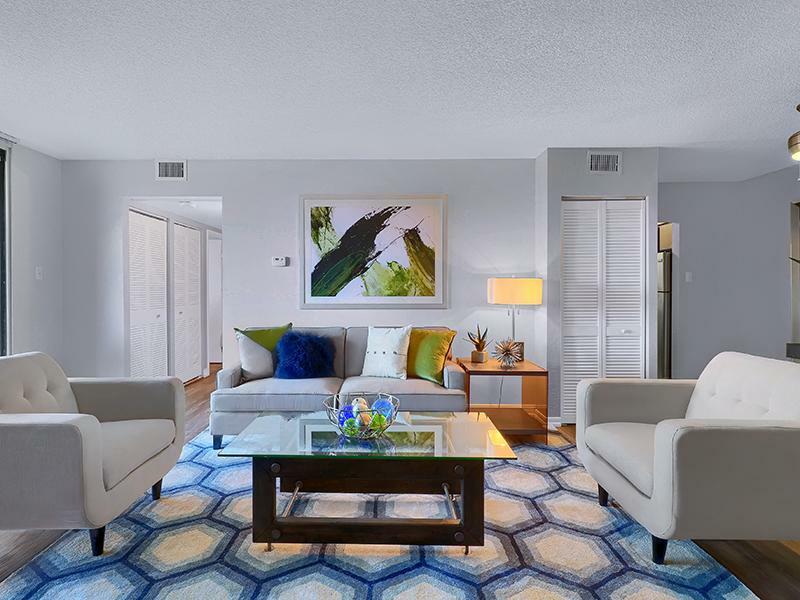 Striking finishes, abundant storage, elegant cabinetry, an outdoor fireplace, vaulted ceilings*, social Lounge, Outdoor Movie area, & TWO fitness centers, give you all the comforts of home, while providing you with the pleasures and luxuries of a state-of-the-art resort and spa! Make time to unwind in the spa, work out in the fitness room, play a game of racquetball in our indoor gym, or become a community high score legend in our resident lounge equipped with arcade games. 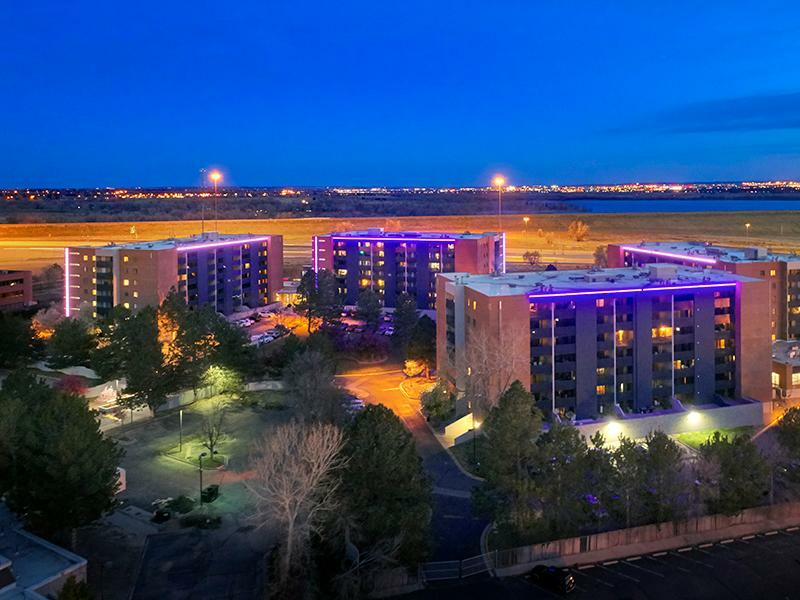 Conveniently located in South East Denver with quick easy access to Highway I-225, and I-25. 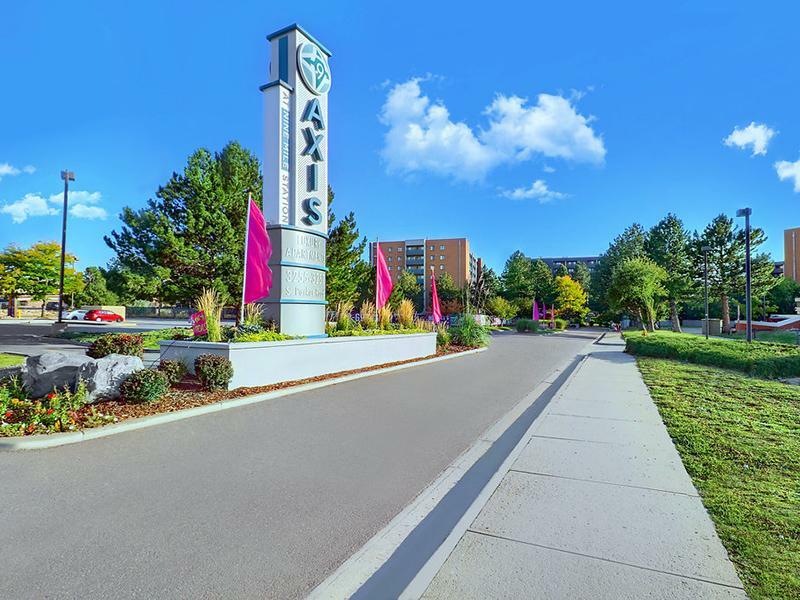 Axis at 9 Mile Station is within easy, scenic driving distance of Denver and Civic Center Park's countless fine art galleries, historical museums, and taste bud tempting restaurants. A historical neighborhood for forward thinkers, nestled between historic Cherry Creek and technological DTC district that quietly buzzes with the energy of entrepreneurship. Whether you're spending inspired mornings in laptop-friendly, latte-loving cafes, admiring contemporary art to spark a new idea in the afternoon, or soothing your soul with a show at Fiddler’s Green Amphitheater you can ignite your spirit all day long. 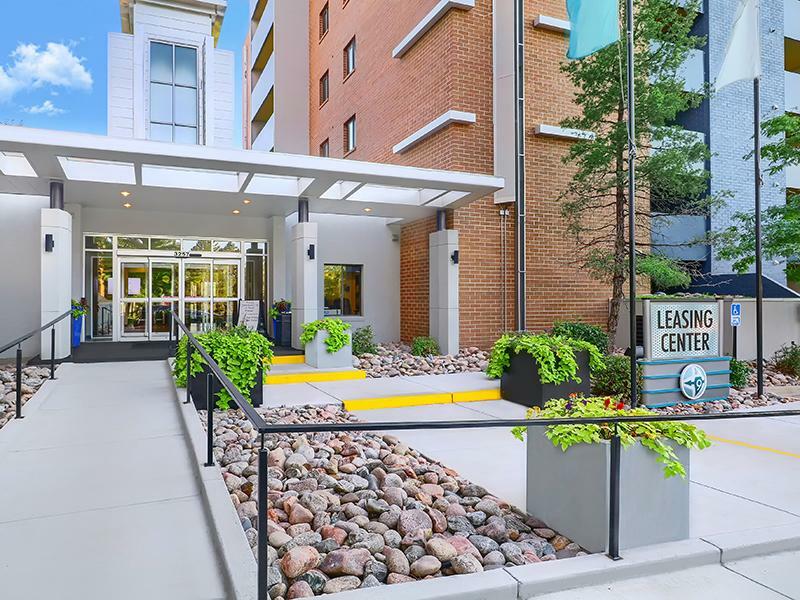 Just minutes from the Denver Tech Center, Cherry Creek Reservoir and Downtown Denver, Axis at Nine Mile Station offers easy access to work and play so you can enjoy living life to the fullest. We invite you to experience luxurious high rise apartment living amid the rugged beauty of the Rocky Mountains. We are professionally managed to promptly attend to all your residential needs. More than just a typical rental home, Axis at Nine Mile Station offers endless opportunities to enjoy carefree living at its best. Axis at Nine Mile in Denver puts the best features in the area right at your fingertips. In every direction, you are no more than blocks away from fine dining, bustling nightlife, premier shopping, and luscious parks. 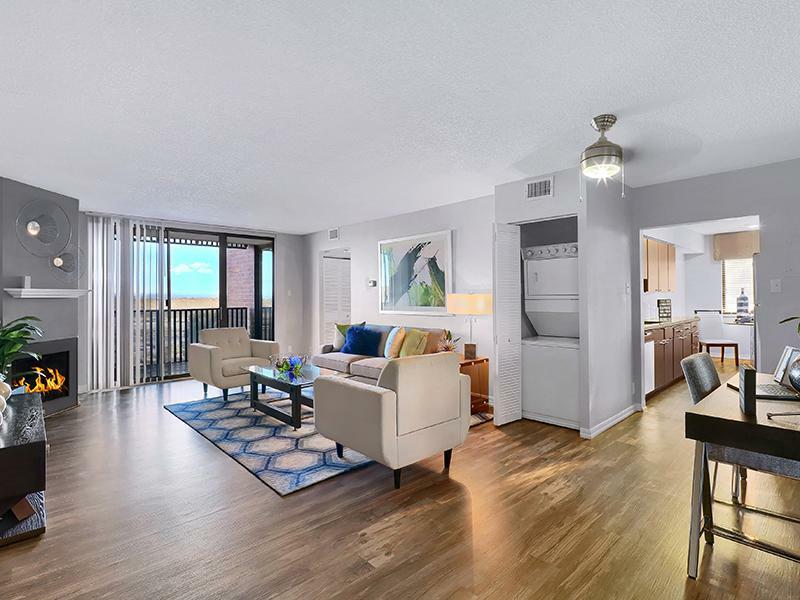 If location truly is everything, then Axis at Nine Mile has it all. Move in Today & receive April rent FREE!